It has been confirmed that Osama Bin Laden has been killed today March 1, 2011 in Abbottābad, Pakistan. The hunt for the figurehead and leader of Al Qaeda that has gone on for nearly 10 years has come to an end. In an address to the nation, President Obama stated that he was briefed last August on information pertaining to a possible location of the terrorist leader. A military operation took place in the northern Pakistani town ending in a firefight and the death of Bin Laden. 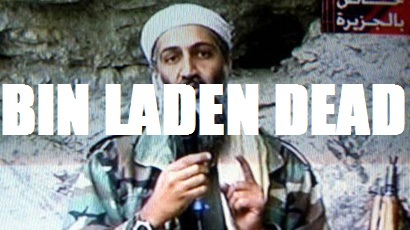 The US military is in possession of the body and it has been confirmed to be Bin Laden.